Mantle cell lymphoma (MCL) is an aggressive lymphoma sub-type with poor prognosis and high 18F-FDG avidity at PET/CT; nowadays, no validated criteria for PET/CT in treatment response evaluation and prediction of outcome are present. 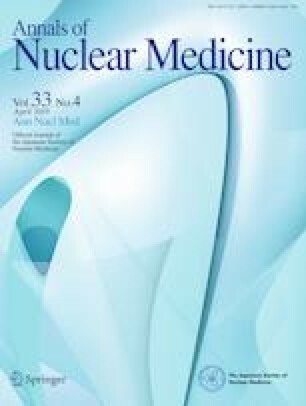 The aim of study was to investigate whether the metabolic PET/CT features may predict treatment evaluation and prognosis in MCL. We retrospectively enrolled 87 patients who underwent baseline 18F-FDG PET/CT and 85 end-of-treatment (eot) PET/CT. The baseline PET images were analyzed visually and semi-quantitatively by measuring the maximum standardized uptake value body weight (SUVbw), lean body mass (SUVlbm), body surface area (SUVbsa), lesion-to-liver SUVmax ratio (L-L SUV R), lesion-to-blood pool SUVmax ratio (L-BP SUV R), metabolic tumor volume (MTV) and total lesion glycolysis (TLG). EotPET/CT was visually interpreted according to the criteria of the Deauville 5-point scale (DC). Survival curves were plotted according to the Kaplan–Meier method. At a median follow-up of 40 months, relapse/progression occurred in 47 and death in 23 patients. Median PFS and OS were 30 and 41 months. Baseline MTV and TLG were significantly higher in patients with progressive metabolic response compared to complete/partial response group. EotPET/CT results using DC significantly correlated with PFS, not with OS. MTV and TLG were demonstrated to be independent prognostic factors for PFS; instead the other metabolic parameters were not related to outcome survival. Considering OS, no variable was significantly associated. EotPET/CT results (using DC), MTV and TLG were significantly correlated with response to treatment and PFS. All the procedures performed in studies involving human participants were in accordance with the ethical standards of the institutional and/or national research committee and with the 1964 Helsinki Declaration and its later amendments or comparable ethical standards. For this type of study, formal consent is not required.